"We feel shocked at the loss of this big figure". Nonaka pictured with his Guinness World Record certificate for being the oldest man at age 112 in April, 2018. Nonaka was confirmed as the oldest living man by Guinness World Records in his hometown of Ashoro in northern Japan past year. Nonaka was born on July 25, 1905, and in his youth worked as a farmer and a lumberjack before running his family's hot springs inn, according to earlier reports. 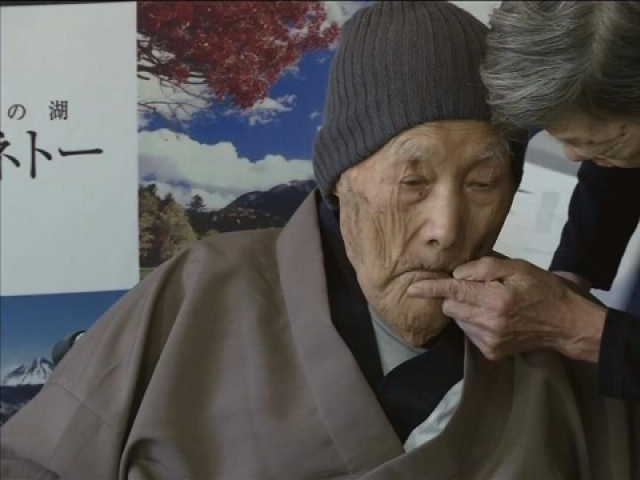 The super-centenarian, who lived in Ashoro on the main Japanese island of Hokkaido, died of natural causes at his hot springs inn, which has been in his family for four generations and is now run by his granddaughter Yuko. He ran a hot spring inn in his hometown and in retirement enjoyed watching sumo wrestling on TV and eating candies, according to local media. He read a newspaper each morning, enjoyed watching sumo wrestling and samurai TV dramas, and had a taste for cakes. Mr Nonaka was one of around 68,000 people in Japan aged 100 or older. Guiness World Records named Nonaka as the world's oldest man in April 2018 when he was 112 years and 259 days old. It's now believed the world's oldest man is German Gustav Gerneth who is 113 years old, however, this is yet to be confirmed, news site the Berliner Zeitung has reported.